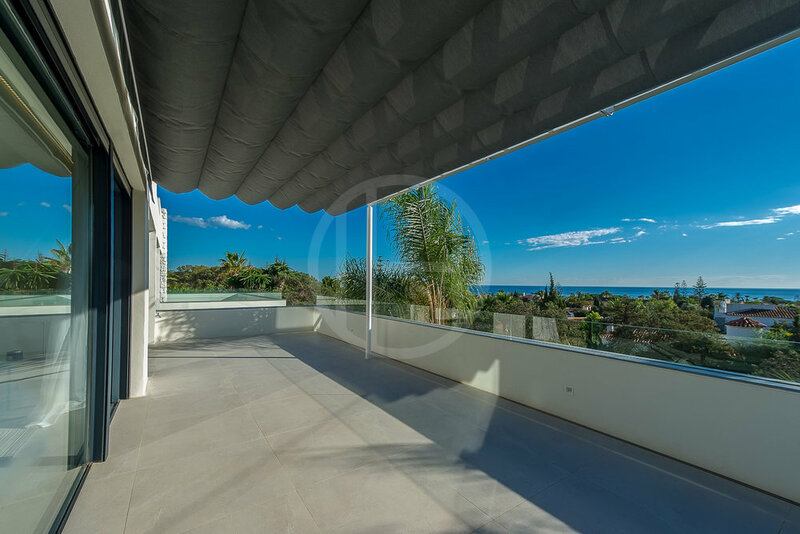 One of the most bespoken quality properties at the seaside of Marbella. The ground floor level consists of the living area and open plan kitchen area. 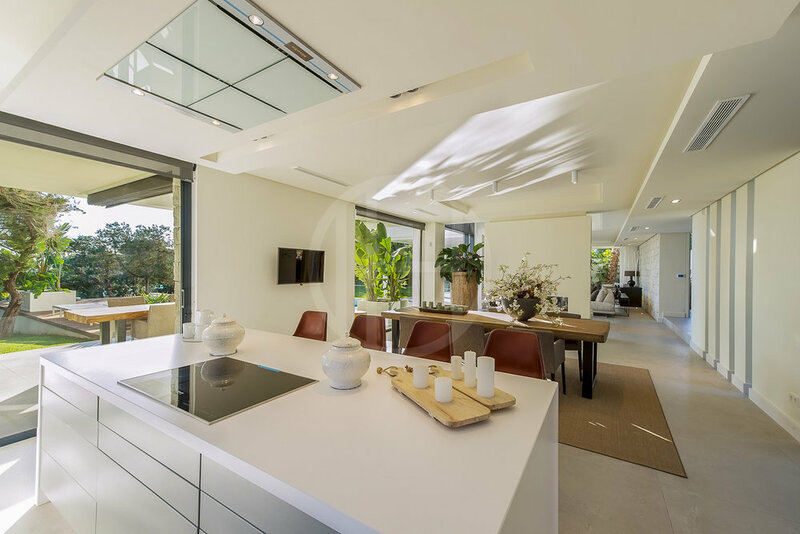 The high ceilings, windows from floor to ceiling and glass front will enhance the feeling of space and light. 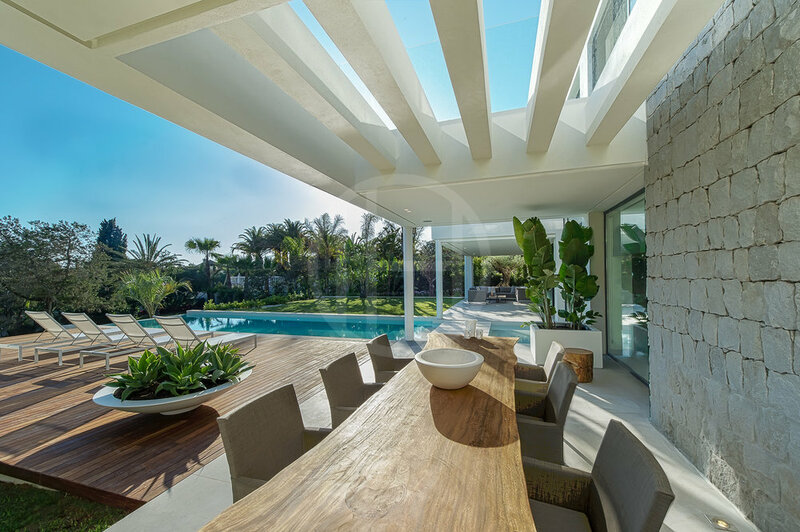 Large covered and uncovered terraces are adjacent for outdoor living. Upstairs are 4 bedrooms, all with en-suite bathrooms. 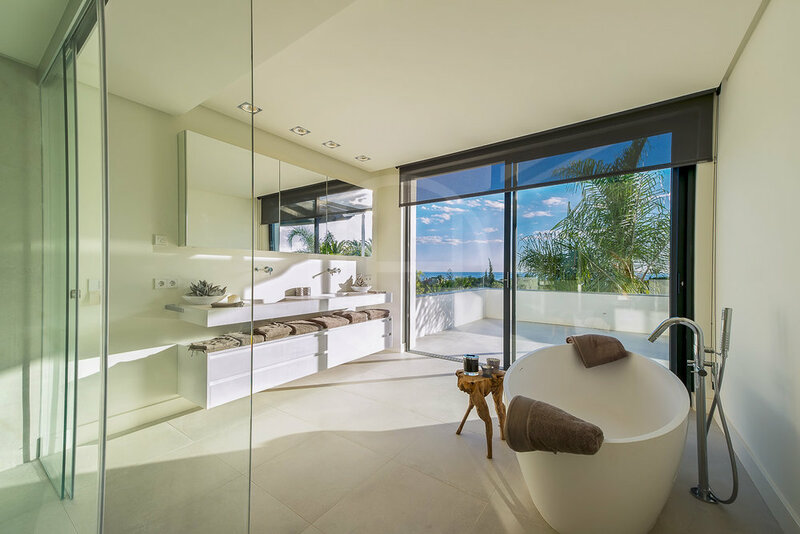 2 bedrooms have separate access to the terrace, from where panoramic seaviews can be enjoyed. The rectangular pool with infinity border lies in front of the house. An outstanding, distinctive property rare to find so near the beach in one of the most desired and upcoming beachside areas of Marbella. The villa can be sold furnished to the highest standards, with Italian pieces, tasteful decor and warm textures.